I love this site. I found our family in Poland and now we email. They sent us pictures. Thank you Michal! Here are some they sent. The family is from Waksmund. 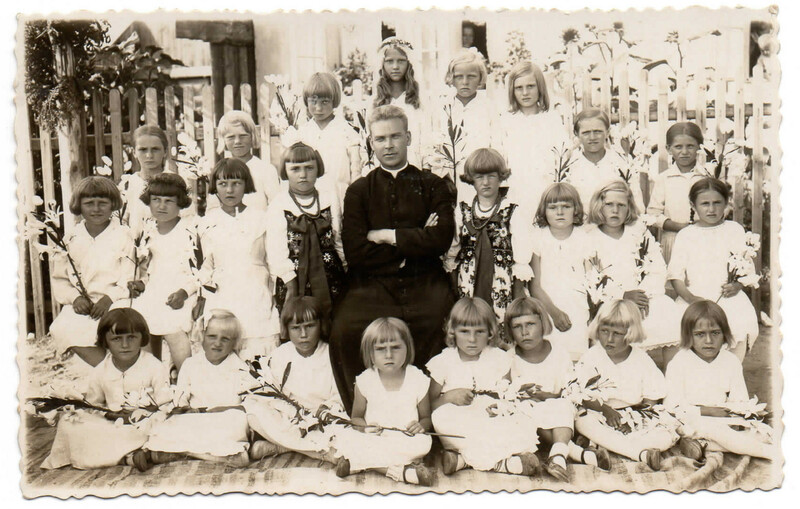 kids during the preparation for the first communion, please appreciate how nicely do they all smile! 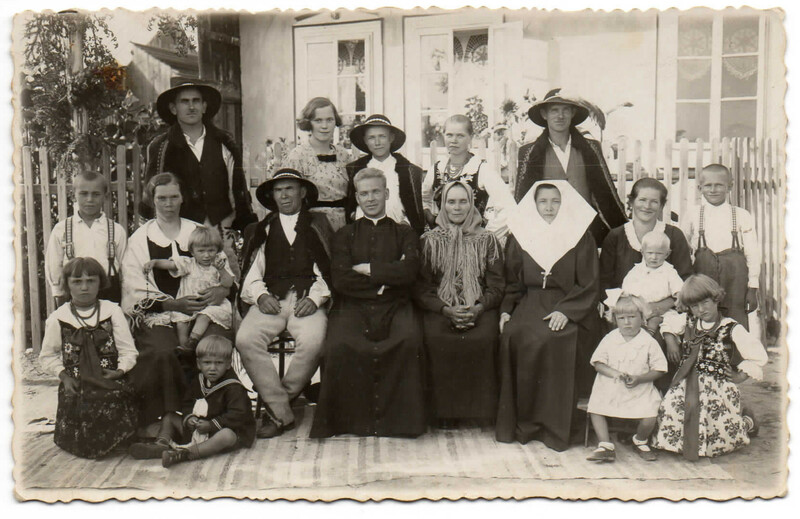 In the centre: priest Franciszek, on the left Jozef Bem, on the right Jadwiga and aunt Weronka (nun). 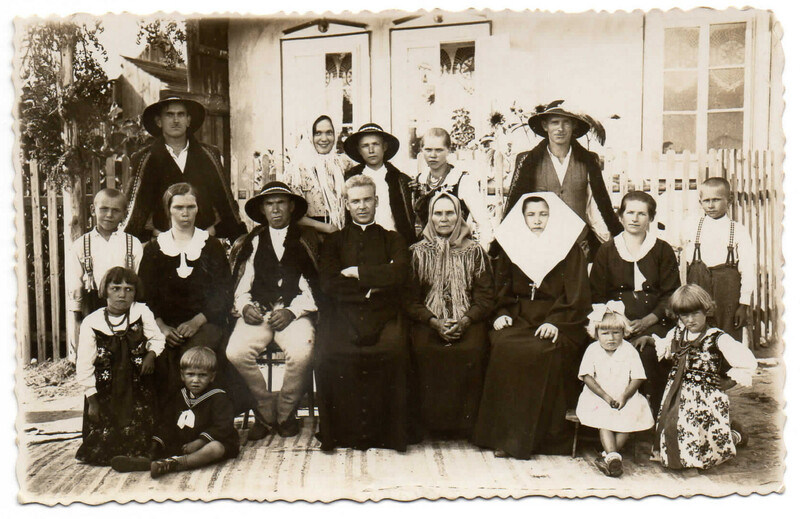 From top left: Jozef Niemiec - husband of Alojza, my grandmother Anna, Władyslaw, Zofia, Jan - husband of Anna. Thanks for sharing these beautiful photos! Do you know the approximate year(s) that they were taken? I do not know the exact date. They are pre WWII I believe. I would guess the mid to late 1930s, but again I am not positive. 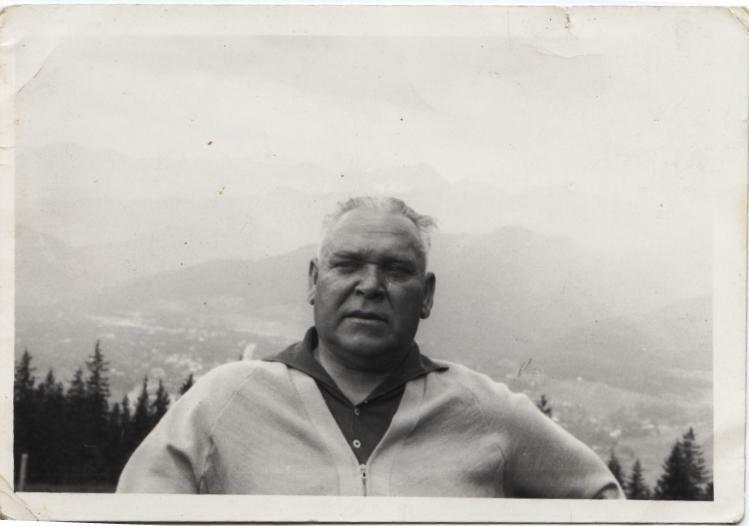 I believe the photos were taken in Waksmund as that is where the family is from. It is the first mass of our Franciszek Bem . It is a celebration and everyone is dress for the occasion. I am in love with the traditional dress for special occasions. The details and workmanship are incredible in the pictures. I must thank our family in Poland for sharing these incredible pictures with us. They are amazing. Yes, I love the traditional clothing too. 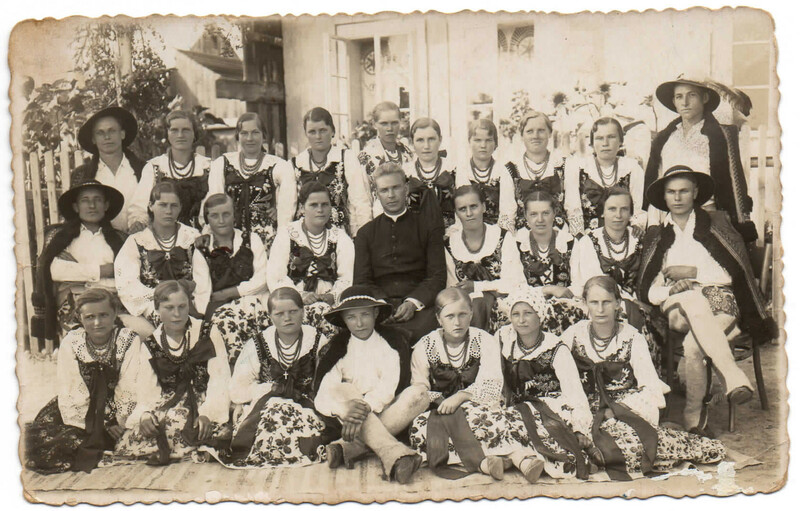 My grandmother Aniela Lenart was born in Załuczne, about 25 km west of Waksmund, and the clothing was very similar. I am grateful that your family shared them - they ARE amazing! Hello! 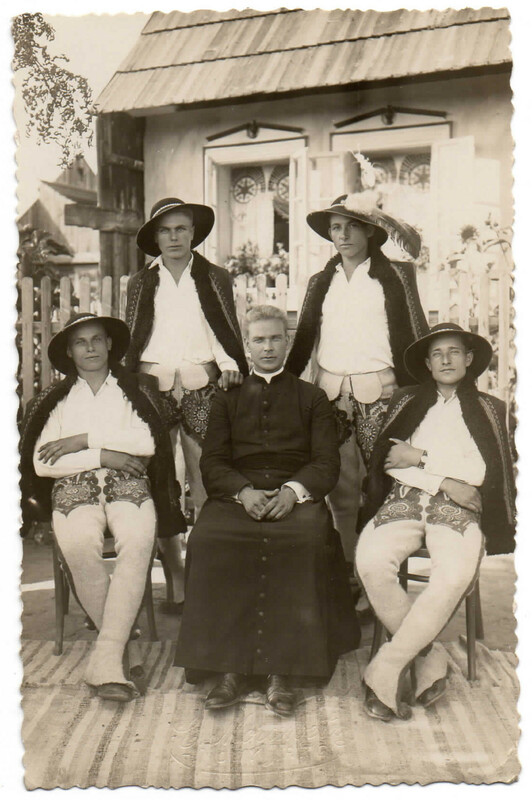 I have discovered the date of the photos of the First Mass of Franciszek Bem. They were taken on June 29, 1936.